Palo Alto police are seeking a man who was captured on surveillance video peering into the bedroom of a house at night last week. A man reported the prowler to police, saying the suspect had just left his backyard in the 100 block of Waverly Street. The resident got an alert at about 11:50 p.m. on July 11 from a security camera indicating there was motion in his backyard. 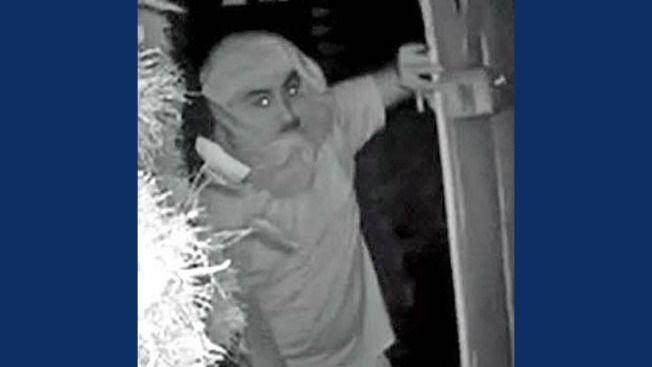 He reviewed footage and saw a man entering his backyard through a closed gate and staring through an occupied bedroom for several minutes before leaving on foot. Officers responded to the scene and tried to track the suspect with a police K-9, but they weren't able to locate him. Police have released a photo of the suspect, who is described as a white or Hispanic man in his early 20s with dark thick eyebrows and a mustache. He had a light-colored shirt wrapped around his head and baggy shorts with stripes down the side. Anyone with information about the alleged prowler is asked to call Palo Alto police at (650) 329-2413.